After July’s buoyant home-sale figures in Flagler County, which hit a post-recession high of 243 closed sales for the month, August’s numbers are somewhat less bubbly. Closed sales in Flagler totaled 188, a slight decline from the 193 registered a year ago, and the median sale price fell from July’s healthy $155,000, back to $145,000, which is roughly where it was in June. That’s still a 20 percent improvement over the median sale price of a year ago. Flagler’s market is in variance with the national market, where existing home sales increased 1.7 percent for the month, and the 5.48 million total home sales represented a 13.2 percent increase over a year ago. That’s a post-recession high. The national median sale price of $212,000 was 14.4 percent higher than a year ago, according to figures just released by the Flagler County Association of Realtors. Flagler may be ahead of a curve that’s veering toward more instability in months ahead as interest rates rise and ironically, a more limited inventory diminishes buyers’ choices: there was just 4.8 months’ supply of homes in the Flagler market, a bit less than the 4.9 months’ worth on the national market, but quite a bit less than the 6.2 months’ worth from a year ago. There were 905 active listings locally, a 20.6 percent decline from a year ago. Interest rates meanwhile, averaging 3.66 percent for a 30-year fixed-rate mortgage in 2012, have been rising sharply–from 3.5 percent in May to 4.07 percent in June to 4.37 percent in July and 4.46 percent in August, according to Freddie Mac’s averages. In another good sign for the local real estate market, homes selling in August spent just 50 days on the market, on average, down from 57 a year ago. That, too, is a post-recession best. The supply peaked at 14 months in October 2010. Homes in the $100,000 to $150,000 range spent an average of 34 days on the market, homes in the next category–$150,000 to $200,000 spent 59 days on the market. On the other hand, virtually half of August’s sales were for cash, suggesting that investors still have a strong hand in the market, but not as strong a hand as they had earlier in the year. But a healthy majority of sales—146 in all—were traditional transactions, as opposed to foreclosure sales (26) and short sales (16). 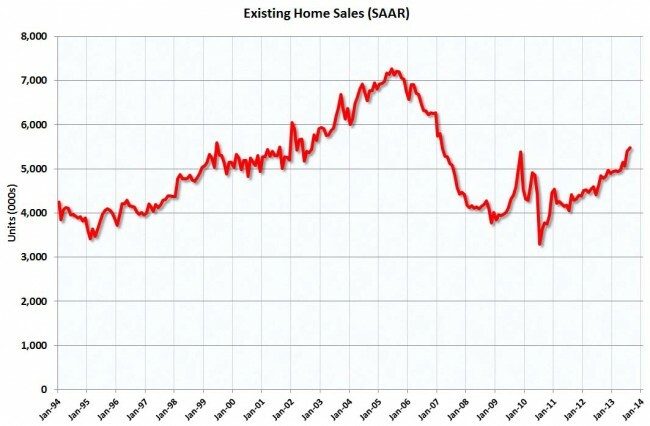 Traditional sales have been on a steady upswing month after month. There were 28 sales for homes selling for between $300,000 and $1 million, which pushed the average sale price to $188,000. One hundred and ten homes sold were in the $100,000 to $200,000 range, and four homes sold for between $600,000 and $1 million. Currently, there are 350 homes for sale in the $100,000 to $200,000 range, and some 100 homes for sale for $600,000 or more. Among townhouses and condominiums, there were 43 closed sales in August in Flagler, a 16.2 percent improvement over a year ago. More than half were paid in cash. The median sale price was $179,500, a 63 percent increase over a year ago, and units spent on average 88 months on the market, not much less time than they did a year ago. The units fetched 90 percent of their originally listed price (as opposed to 93.4 percent for single-family home sales). There are 272 active listings for condos and town houses, and 7.2 months’ worth of supply, down from last year’s 10.1 months. Among manufactured or mobile homes, there were three sales, all three for cash, for a median price of $25,000, and after spending a median 99 days on the market. Homeowners in Palm coast simply refuse to accept that buyers are setting the selling prices not the homeowners. There was an elderly couple down the street from us with a 23 year old home. They were moving in with one of their children. The landscaping was beautiful and the pool was in good shape. The actual 2 bedroom home needed a complete makeover. Total rehab. They were asking $169,000 but advised they would consider an offer. I offered then $129,000. Mortgage rates at that time were 3.65%. They acted insulted. They are with their children now and their home sits empty. They are still asking $169,000.